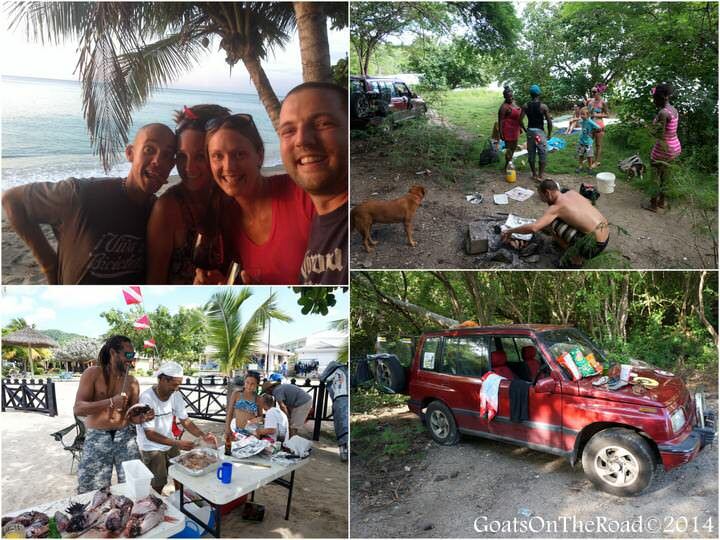 A 7 Month Round-Up of Grenada…and Upcoming Plans! 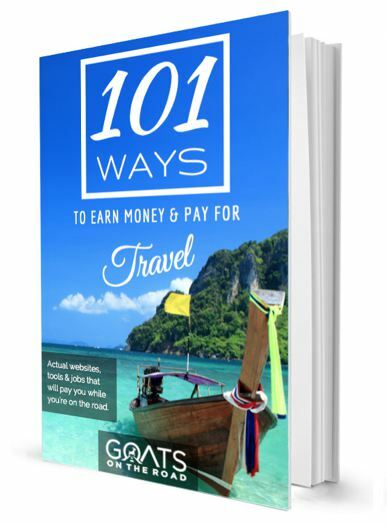 Goats on the Road Posts » Travel Blogs » Central America & The Caribbean » Grenada » A 7 Month Round-Up of Grenada…and Upcoming Plans! In just two days we’re leaving Grenada. This has been our home since April 2, 2014 and it truly has felt like home. We were able to unpack our backpacks and actually hang up our clothes in a closet! 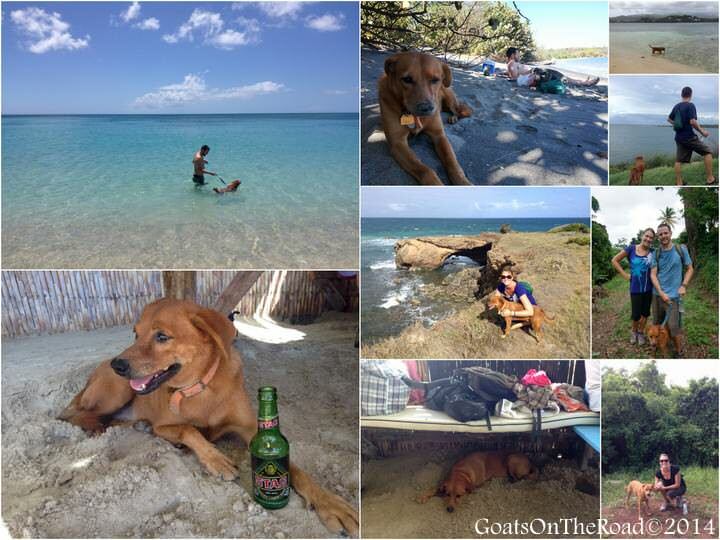 We made some fantastic friends and we had sweet Spare Dog to take care of, who showed us great love in return. 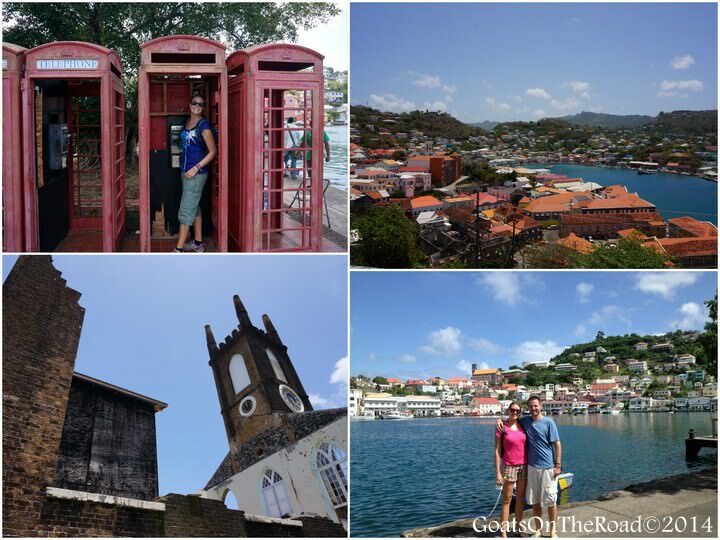 There are so many things to do in Grenada, and during 7 months, we didn’t get to see them all. Honestly, we don’t feel ready to leave. Perhaps this will be a place that we return to again and again (Update: we returned two more times!). 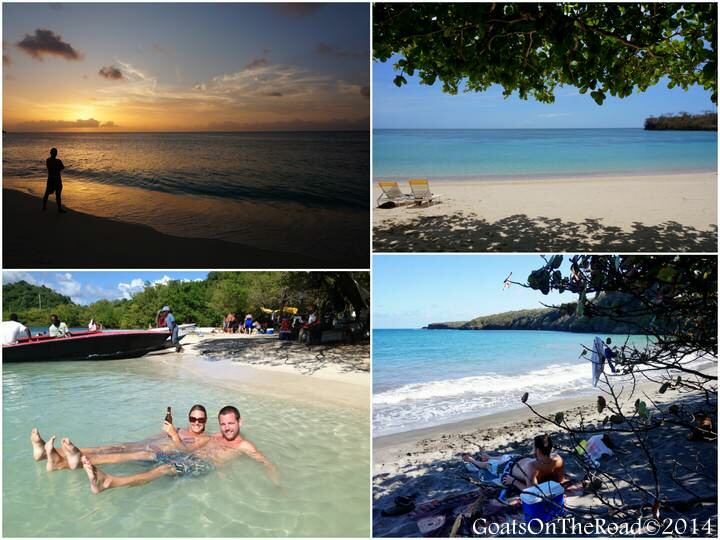 We lazed on the best beaches in Grenada, hung-out at beach bars, packed picnics to enjoy at secluded spots, and gazed in awe at the stunning sunsets from our favourite spots. We took Spare Dog anywhere and practically everywhere! He loves going for car rides and seeing new places. 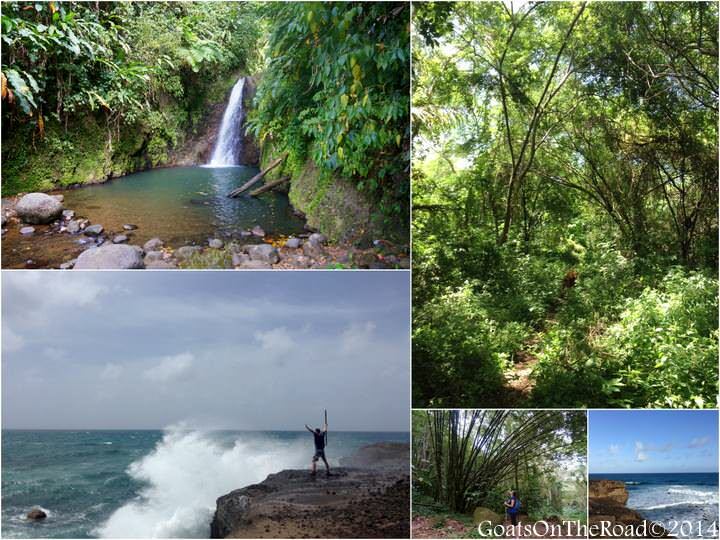 We hiked through the mud to reach chilly waterfalls, wandered along rocky points while enjoying beautiful views and walked through thick jungle to arrive at our favourite secret coves. 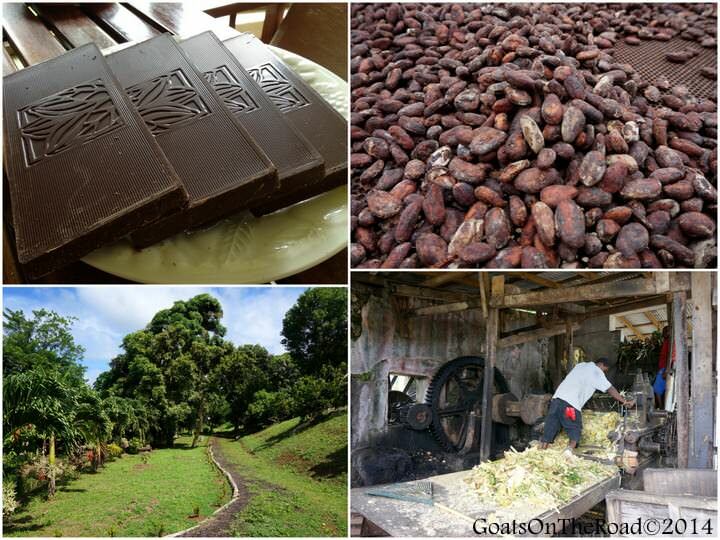 We visited age-old plantations, chocolate factories, rum distilleries and spice gardens. 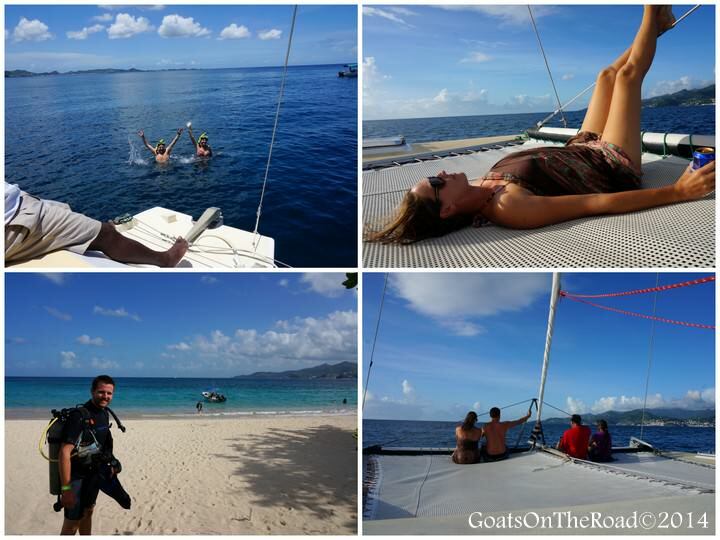 We snorkelled in the deep blue sea, sailed up and down the island’s coast and went scuba diving to see sunken ships. We placed our bets at a hermit crab race, participated in our first hash and listened to a band play music from a barge out on the water at a dinghy concert. 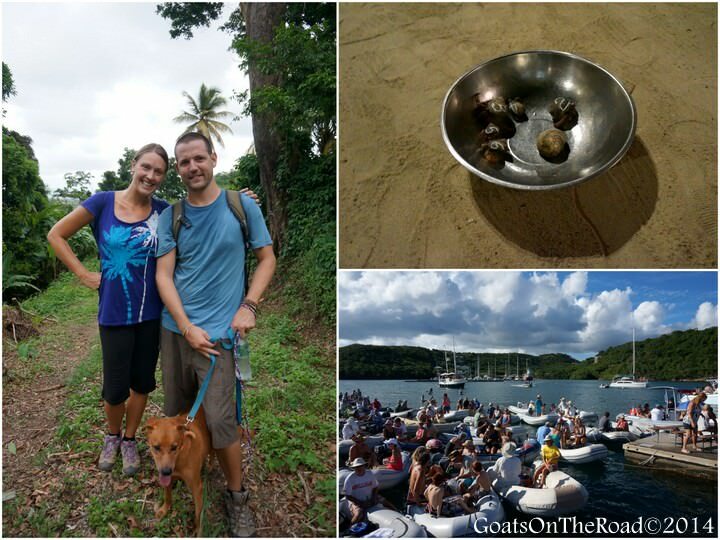 Hashing, betting on crabs and a dinghy concert! 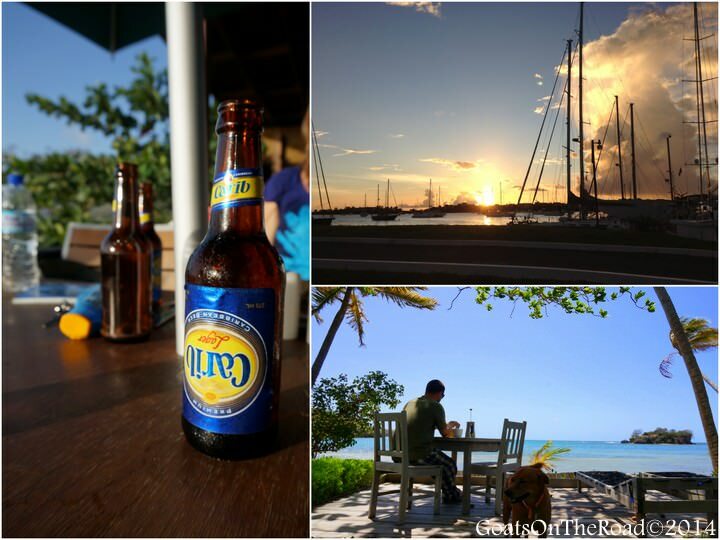 We ate delicious meals at some great restaurants with amazing views, while drinking the local beers, Carib & Stag. 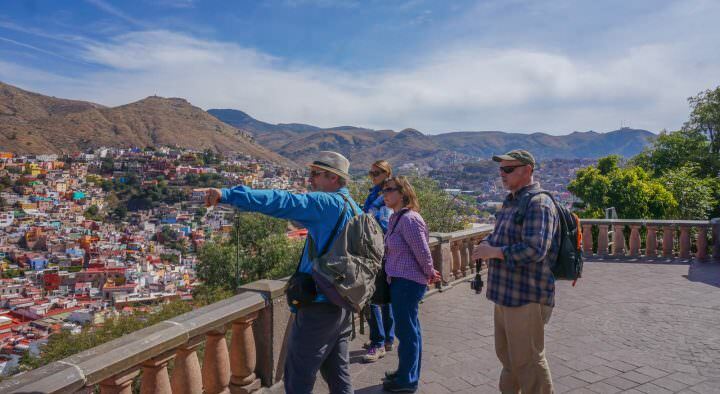 We visited the colourful capital city of St. George’s on numerous occasions to shop, eat and enjoy the historical sites. 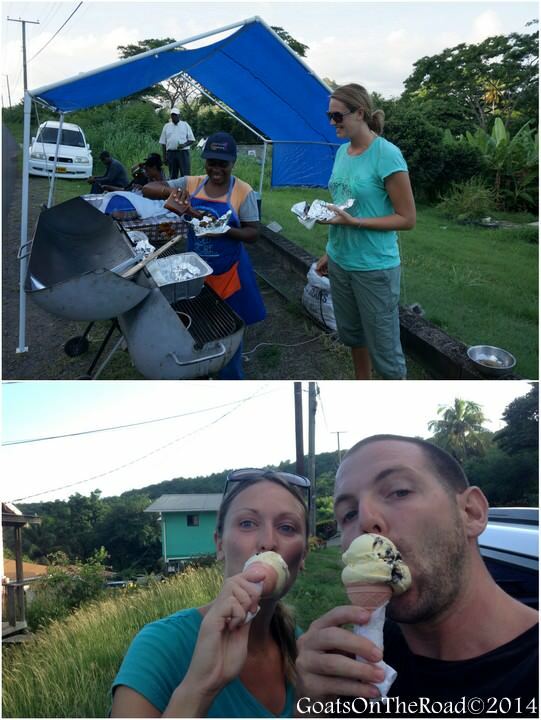 We enjoyed Roseanne’s fabulous BBQ and Ronda’s ice cream nearly every week! The best chicken and pork on the island…with cookies & cream ice cream for dessert! We danced, drank and were in awe (and shock!) at our first Carnival celebration. We had beach cook-outs, double dates and fun days with some fabulous people. 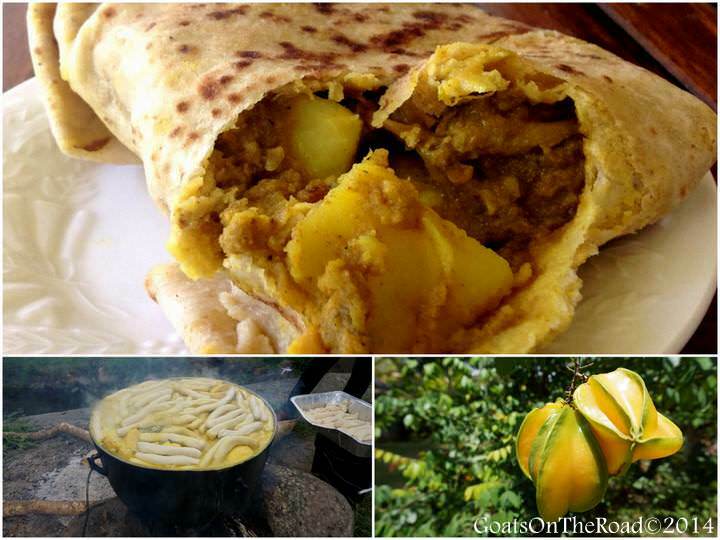 We sampled tropical fruits fresh from the trees on our property, tried our first “oil-down” and snacked on rotis. 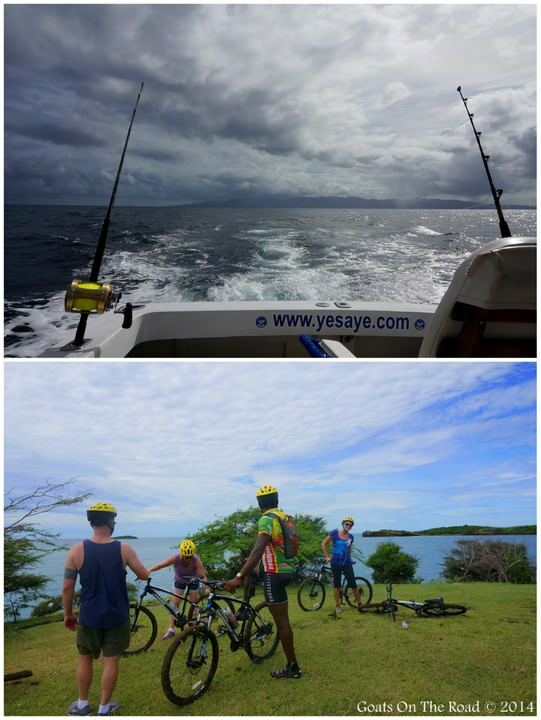 We went cycling around the south of Grenada and deep-sea fishing! We drove up and down and all around while exploring this windy, mountainous country. 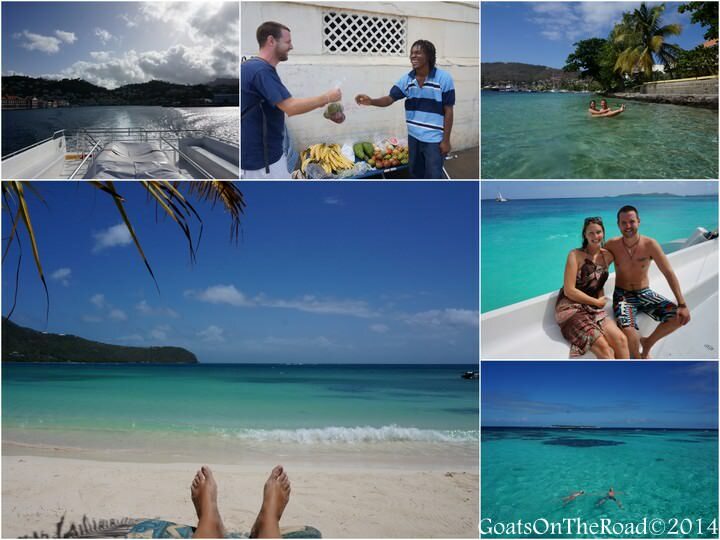 …and if all of this wasn’t enough, we went to the neighbouring islands in the Grenadines for 3 weeks to celebrate my 30th birthday! We island-hopped from Grenada up the Grenadines chain of islands, visiting Carriacou, Union, Tobago Cays, Palm Island, Mayreau and Bequia. The best 30th Birthday ever! 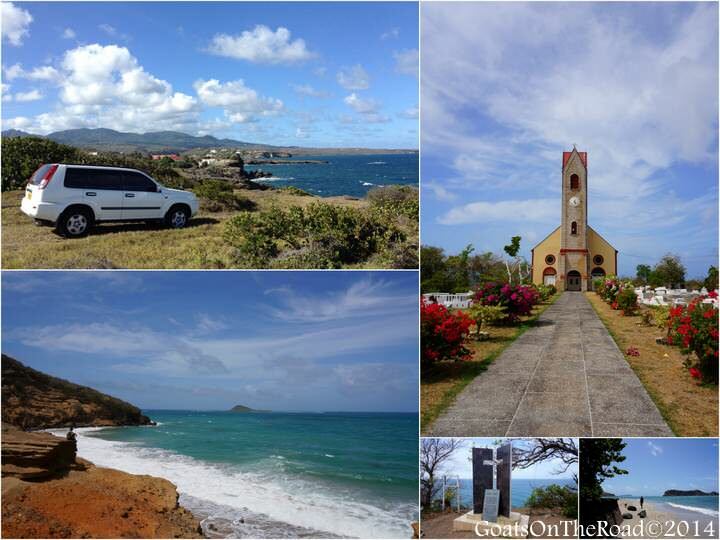 There are many more things that we did while in Grenada, this list could go on and on. For such a small country, it really packs a lot of punch and we had some very memorable times here. Grenada will forever hold a special place in our hearts. It’s the first country where we successfully lived as digital nomads , the place of our very first overseas pet-sitting job and a country that gave us some much-appreciated joy, relaxation and peace for 7 fabulous months. We had some great experiences here and are glad that we met Spare Dog and all of the other wonderful people that we have come to know and love. What Does The Next Chapter Hold? 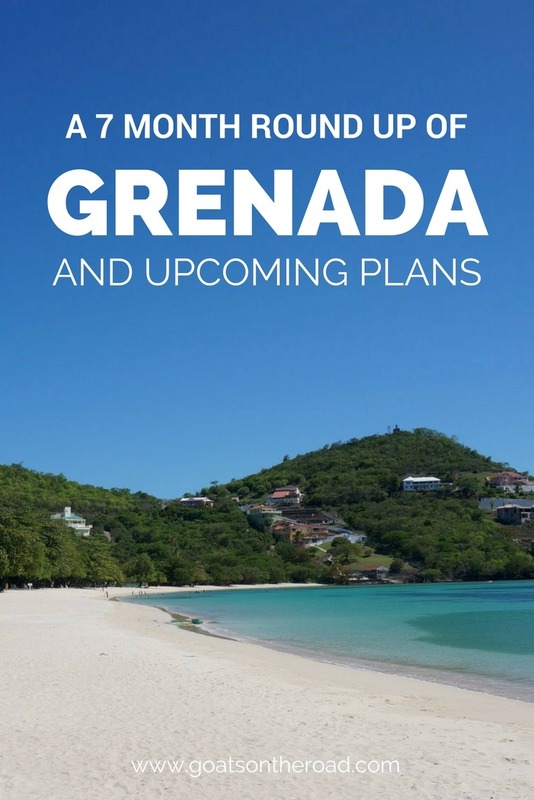 We feel that our next move really encompasses everything that we’re all about, and includes all of the things that we realized from living in Grenada. 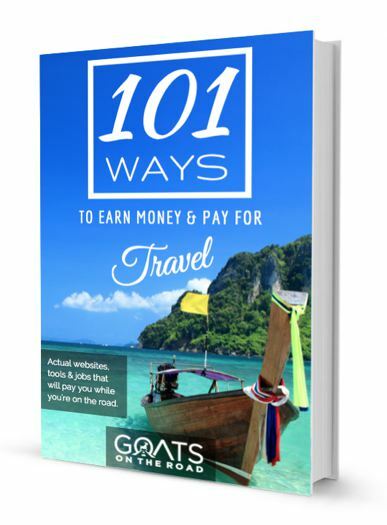 We plan to fly from Grenada to Puerto Vallarta, then take a local bus to the small surfing town of San Pancho. 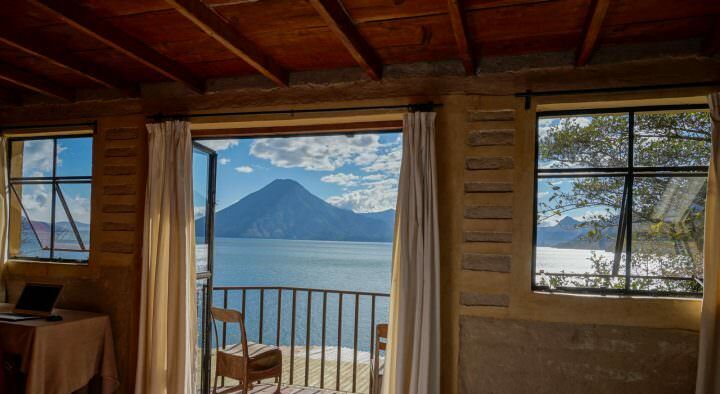 Our friends Dan & Casey recommended this town to us, with a population of about 2,000 people and located right on the water, we feel that this quaint Mexican town will be the perfect place for us to rent an apartment for a while. After 4.5 years on the road, this is the year that our families are finally coming to visit us abroad! 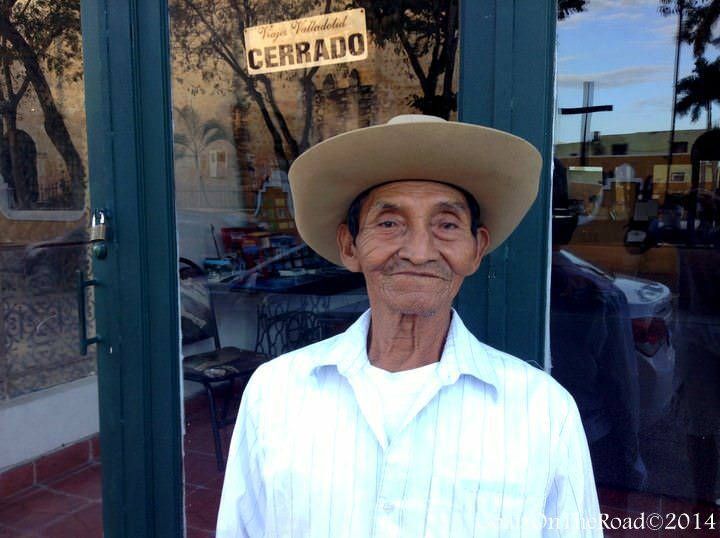 My dad came to see us here in Grenada in August, and during our upcoming stay in San Pancho, four members of Nick’s family will be coming to visit at various times, and my mom will be coming as well. Thank you everyone for following our journey in Grenada. Stay tuned to see what we get up to next! 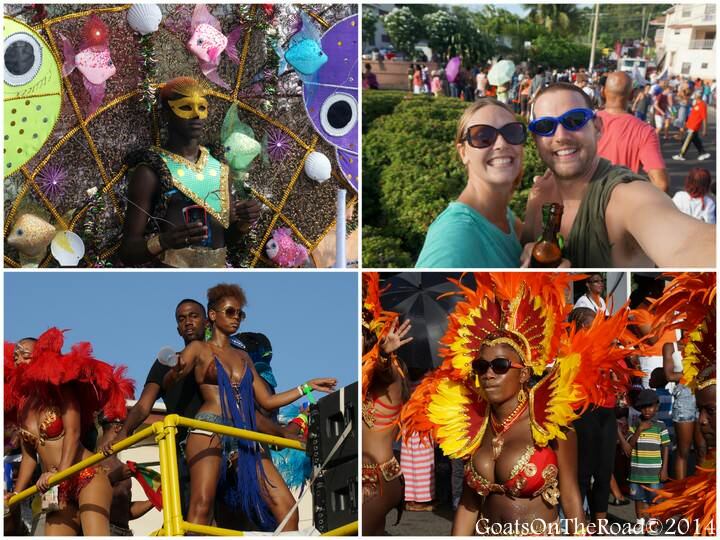 Click here to read more posts from Grenada. Spare Dog is a real cutie – had a dog in Zambia called Simba. They could pass for brothers. Nice post, house sitting something we have to try out someday. Ya, we were really surprised at the Carnival festival actually…didn’t realize it was so sexual! It was a lot of fun though, loved the colours, the costumes and the music 🙂 Aw, I would love to see a picture of Simba! We miss Spare Dog a lot, he was an awesome friend. 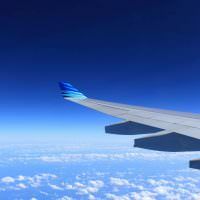 Definitely look into house sitting, it’s a great way to travel! Thanks for the comment and happy trails. Amazing! What a fabulous 7 months you have had. I am sure saying goodbye to Spare Dog will be hard! Thanks for the comment Katie, it was an epic 7 months. Sounds like an epic 7 months. I’m sure you guys will be sad to leave Grenada (and Spare!). But your upcoming plans sound really exciting. I’ve heard great things about San Pancho. Happy travels! Thanks Justine 🙂 We loved Grenada and so far we’re having a great time in Mexico!